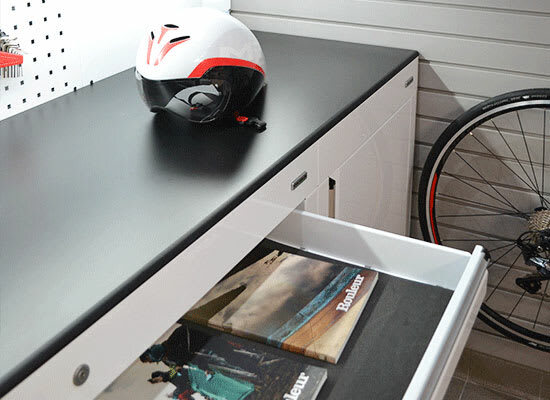 Transform your garage into the perfect cyclist's haven! 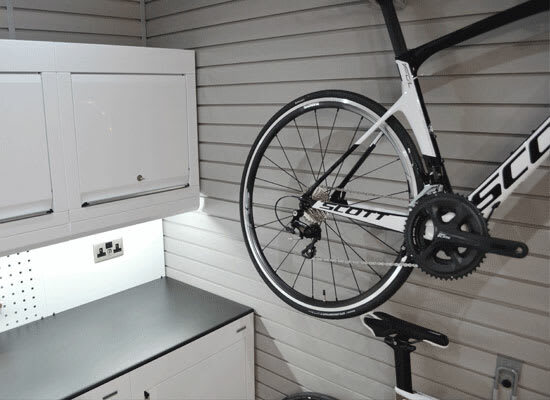 You eat, sleep and live blood sweat and gears, so why not transform your garage into a beautifully organised room for your cycling passion? 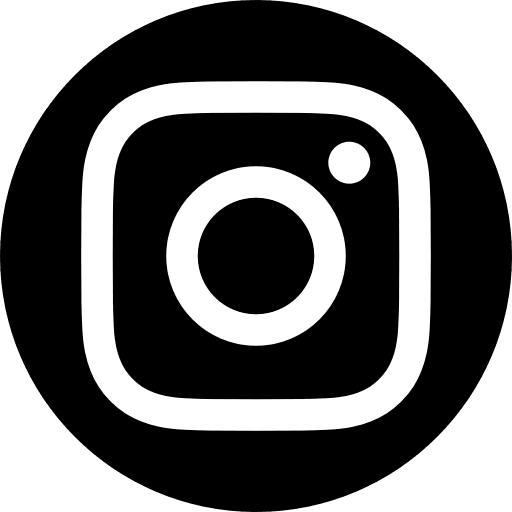 As Europe's leading garage interior company, Dura have a wealth of experience in creating beautifully organised spaces for cyclists of any performance level, as well as efficient workshops for professionals throughout the cycling industry. With modular steel cabinets, wall storage and flooring products, you can transform your space into the perfect training room, while freeing up room to park the car. Dura understand that every cyclist has different needs, but here we've shown an example layout for the 'ideal' Cyclist Room. This garage interior can easily be adapted or expanded as requirements change. Dura's robust tool storage cabinets are used by professional cycle workshops, and ideal for keeping your cycling tools organised, with an option of custom made tool control foam. 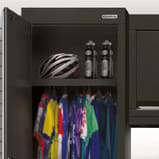 High-level wall cabinets are perfect for smaller sporting accessories such as cycling headwear while full height cabinets provide ample space for cycling clothing and footwear. 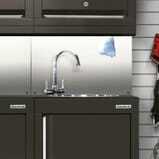 Dura have a range of specialist cabinets to allow users to integrate cycle cleaning facilities. These include a stainless steel sink with taps, towel and glove dispensers and a removable wastebin unit. The cabinet back panels can be fitted with plug sockets for convenient power sources, and under-cabinet lighting for illuminating your worksurface. Cycling training equipment can often clutter the garage floor, so for these bulkier items we recommend the wall-mounted StorePanel™ system. Hooks and baskets simply 'clip on' to this modern looking wall system, allowing you to easily hang and reorganise your cycling equipment securely and safely - keeping them in pristine condition. 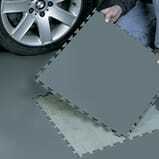 As a busy garage with lots of tyre traffic, it is important to choose a floor surface that is durable and easy-to-clean. We recommend interlocking PVC tiles, as they are hard-wearing, with a surface that has anti-slip properties, that can be easily cleaned after messy cycle maintenance work. Click here to download/request a FREE brochure and price list, or why not give our design team a call on 01280 700563 to arrange a FREE design consultation? Why not try our products out for yourself. 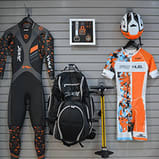 Visit our showroom in Brackley to see our special cyclist garage, with products kindly provided by cycling experts SpeedHub.